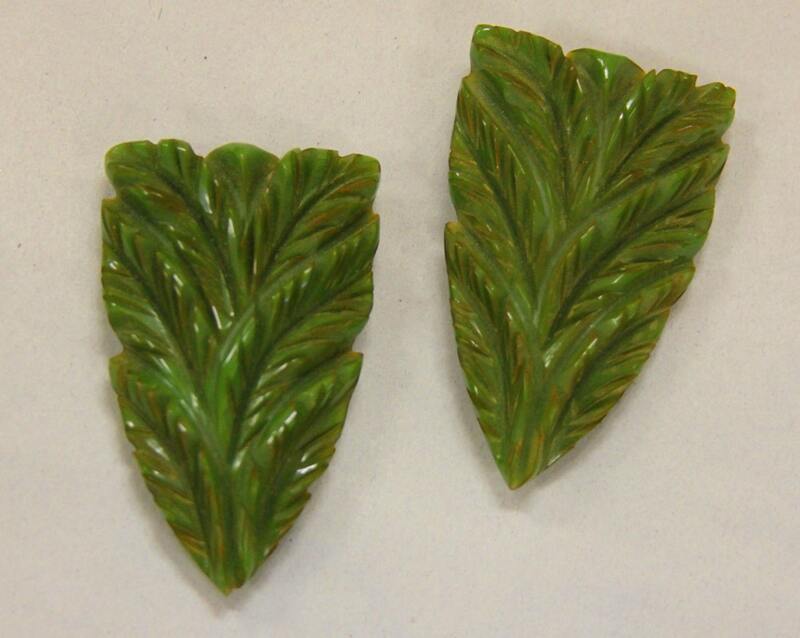 Incredible Huge green carved Bakelite dress clips measure a whopping 2.75 inches in length. They are just wonderful miniature pieces of art. 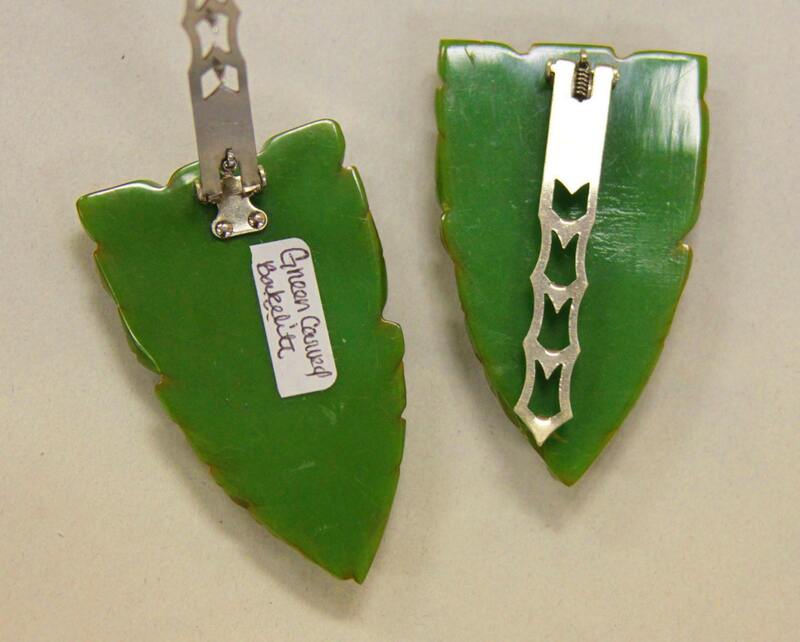 The carving is similar to a fabulous set of 4 Bakelite bracelets on my site. They are perfect companion. Dress Clip sets are becoming more difficult to find. These are just the most beautiful color of green.